Inspired by a collection of books penned by H.P. Lovecraft, ‘Color Out of Space’ is a project officially in the works. Indeed, it already has a main protagonist in Nicolas Cage as well as a director in Richard Stanley. A sci-fi thriller, ‘Color Out of Space’ relates the aftermath of a meteorite which crashed on Earth. The film adaptation is expected to differ from the book as the main protagonists are not locals but a family that recently moved to the area. 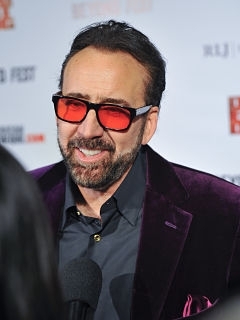 Nicolas Cage is starring in a currently untitled role. Back in the director’s chair after 25 years of absence, Richard Stanley will be helming ‘Color Out of Space’. He is already considered as an accomplished filmmaker in the science fiction genre, having previously directed ‘Hardware’ and ‘Dust Devil’ in the 1990s. He also attempted to helm ‘The Island of Dr. Moreau’ but only managed to co-write it. Another interesting fact regarding ‘Color Out of Space’ is about the producers behind the film. Indeed, SpectreVision, who previously collaborated with Nicolas Cage on ‘Mandy’, are back at it again. This time around, they are pairing up with ACE Pictures. Stacy Jorgensen is one of the executive producers. When starting out his acting career, Nicolas Cage has featured in various types of movies including ‘Wild at Heart’ and ‘Red Rock West’. Later on, he appeared in the box-office successes ‘Ghost Rider’ and ‘Knowing’. The film ‘Leaving Las Vegas’ earned him an Oscar in 1995.